Designed specifically for larger mugs. 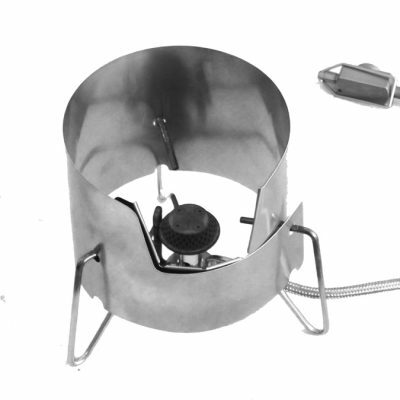 Stainless Steel Version – 64 grams / 2.3 oz. Titanium Version – 62 grams / 2.2 oz. Customize Your Snow Leopard Senior Cooking System by choosing options below. 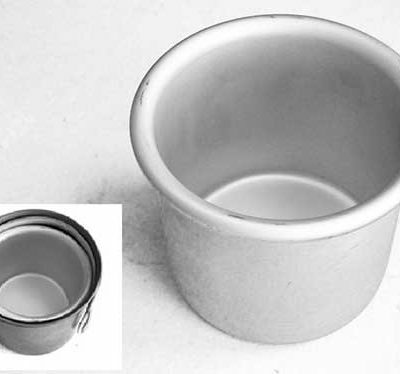 The Snow Leopard Sr. is designed to fit larger mugs. 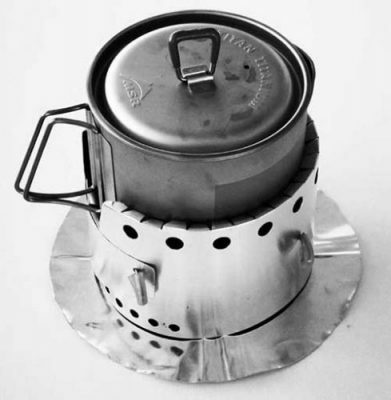 Snow Leopard Sr. is compatable with the MSR Titan mug, the Evernew Ultralight 800 ml mug (ECA267), Evernew Ultralight large pasta pot (ECA522), Evernew Ultralight deep pot (ECA265), Evernew Non-Stick deep pot (ECA402) and the Vargo Ti-Lite 900 ml mug. 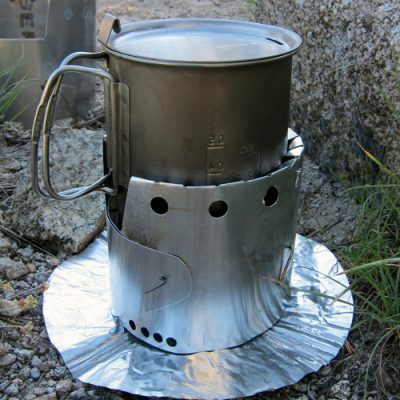 Snow Leopard Sr. contains: A Snow Leopard stove A windscreen 2 pot support pins A heat shield A fuel cup A mug is not included in the kit, but is offered as an optional add-on. 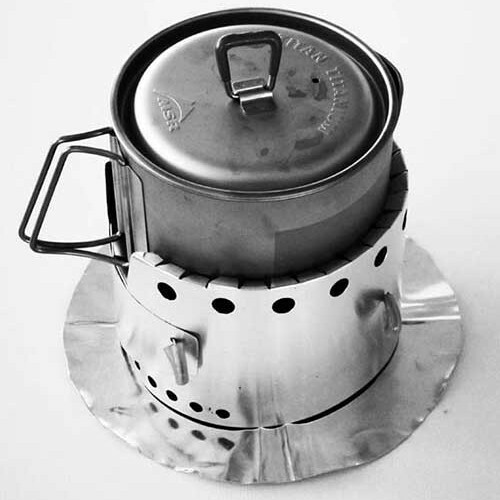 Note that when using the MSR Titan Kettle, the windscreen extends beyond the edge of the mug. The windscreen is held in place by flipping the lid over 180 degrees and slid over the windscreen thus providing full protection. Choose options from the drop-down menus to customize your Snow Leopard Senior Cooking System.